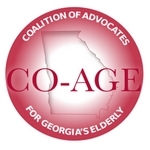 We hope to see you at the 60th anniversary conference of the Georgia Gerontology Society. August 3-5, 2015 at Brasstown Valley Resort and Spa. "Reflecting on the Past: Envisioning the Future" is the theme this year. Click here for more info.